I finally had some time to sit down recently and give my web-presence a face lift. I tweaked my blogs and redesigned my main web page. The new homepage has a slide show of a few of my images from the past few years and more user friendly feel. I have to say, if you are contemplating creating a website then I highly recommend Smugmug and Blogger. They make it so easy to design and customize your site. Along with the new look comes a new name. 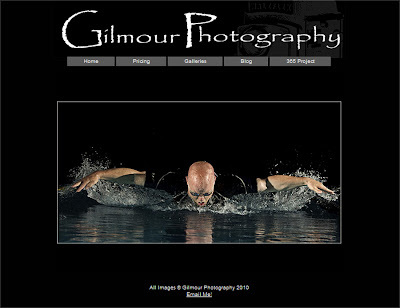 You can now find me at: www.gilmourphoto.com . So come on over and take a look around. I like the new look. I am also partial to this picture - Fantastic!